Sadly, I need a sympathy card today for someone who has experienced a very tragic and unbelievable loss. My card was a simple 5 minute card. The Hero Arts image was stamped twice in Memento Tuxedo Black. 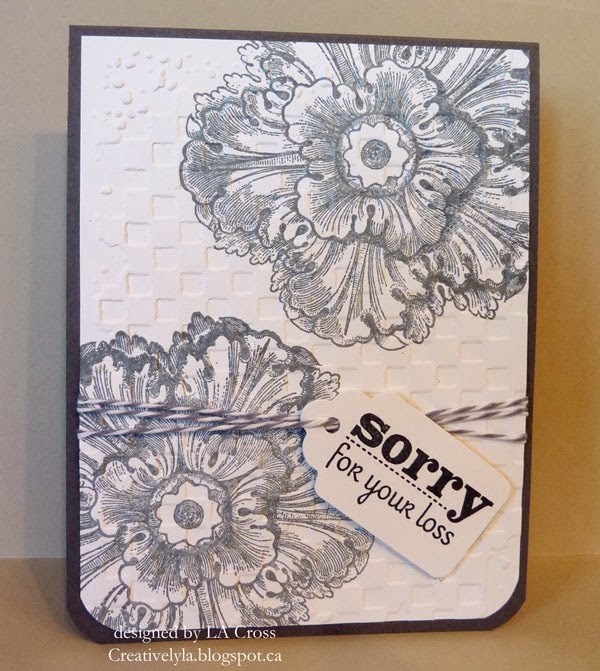 Then it was dry embossed with the Tim Holtz checkerboard embossing folder. 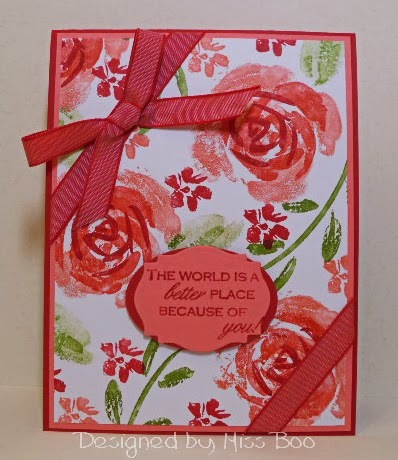 I wrapped some baker’s twine around the piece and added a die cut tag from Sizzix with the sentiment from Verve. The tag is held in place with a large round dimensional. The bottom corners were rounded with my Corner Chomper and done!